Baum & Pferfgarten Adaria Midi Dress in Tropically Blues: New to Stanwells for SS19, Danish brand Baum & Pferdgarten oozes feminine style with a modern twist. 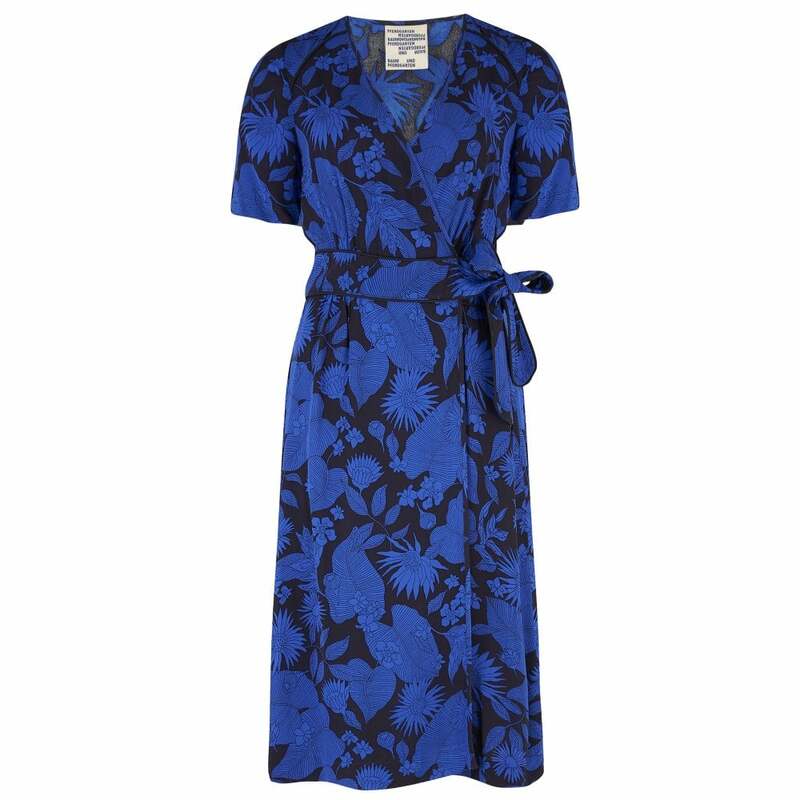 This on-trend wrap dress has been styled in a loose, flowing silhouette with short sleeves and a tie side waist to create a flattering shape. Pair with some crisp white sneakers and a tote bag for an effortlessly cool daytime look.